In the centre of the department of Cesar, behind the Perijá Mountains and on the border with Venezuela, lies the road to the hamlet of Pitalito. 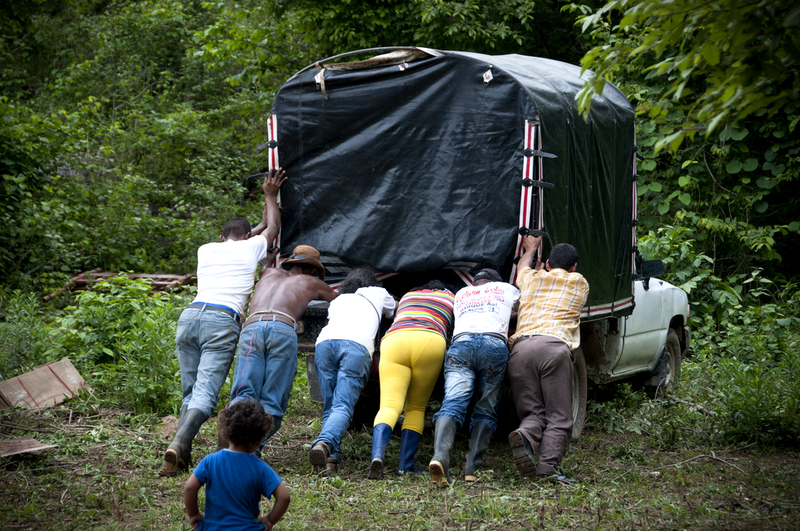 According to reports from the Committee in Solidarity with Political Prisoners (Fundación Comité de Solidaridad con los Presos Políticos – FCSPP), 25 small-scale farming families were displaced from this area three years ago. 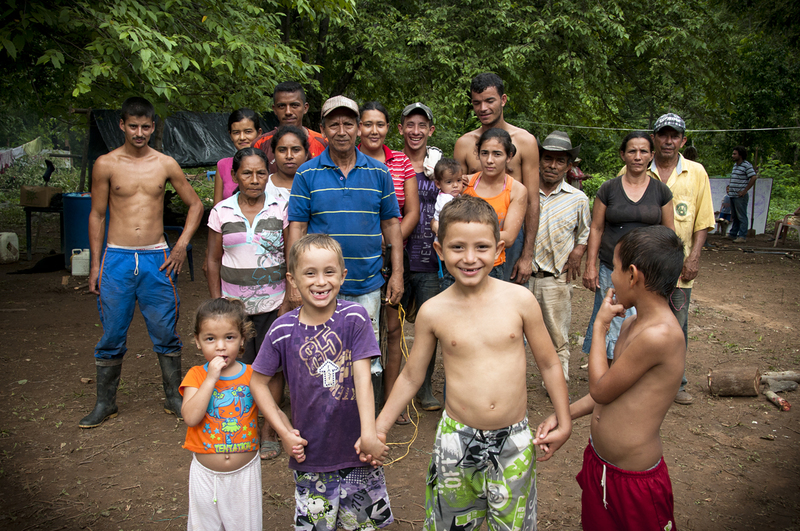 On 21 May, 16 of these families returned to Pitalito despite risks arising from the continued presence of illegal armed actors in the area. This is how this small community decides to put an end to dread and fear, confront a weak security situation and mount resistance in their own land. During the three years of their displacement, the families lived uprooted lives in a poor town, without land to cultivate and therefore without income to live with dignity. Most of the families have lived through two, or even three, forced displacements. In 2000 they were displaced by paramilitary groups and, as denounced by the FCSPP, in 2010 the community was evicted illegally by the Army. The Committee in Solidarity with Political Prisoners and the People’s Legal Committee have accompanied and provided legal advice for these families since March 2011. Lawyer and human rights defender Leonardo Jaimes Marín speaks with PBI about the return process. For more than 20 years, Leonardo Jaimes Marín has served as a human rights defender and a lawyer; he has supported popular causes, defending and representing communities that have been victims of human rights violations. PBI: What circumstances led to the displacement of this community? 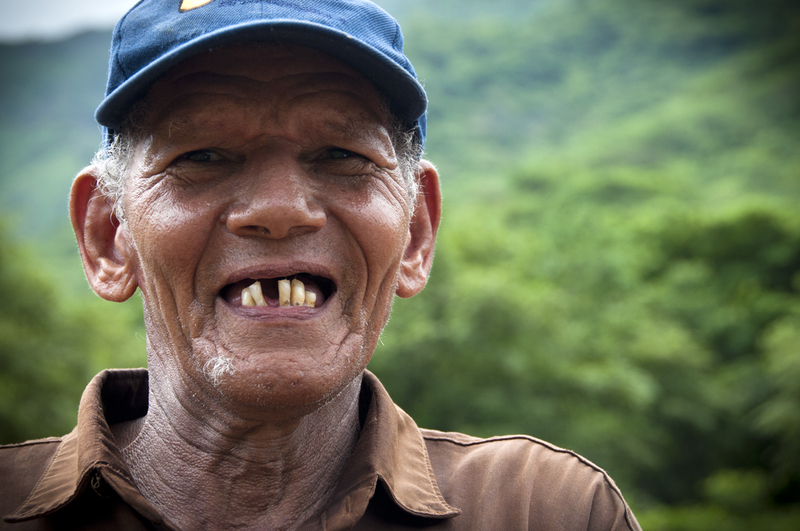 Leonardo Jaimes Marín: This community was violently displaced in June 2010 by Army officials who, following orders or directives to defend the interests of a large-scale landowner, dispossessed them of their lands and evicted them from the region. 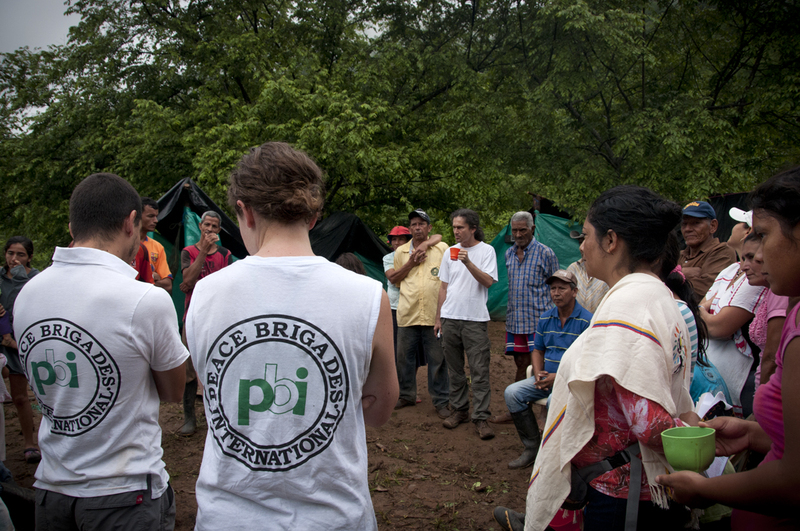 PBI: What is the security situation faced by the community as it return to Pitalito? LJM: The security situation for the peasant community of Pitalito, as it returns to its lands, is a delicate one. This is due to the fact that the paramilitary structures that for years have been strengthening in the centre of the department of Cesar have not been dismantled. Curumaní has been heavily victimized by the paramilitaries in Colombia. During our time here, we have recorded close to 40 forced disappearances that have not been reported to the authorities, a very high number. This area has witnessed an organized strategy for the appropriation of peasant land, a violent appropriation that has led to massacres. PBI: What are the biggest challenges for the community now? LJM: The first stage of their return will not be easy. There are logistical and housing challenges, which are of course very important. We must continue to strengthen the organizational aspects. Another major challenge is how to collectively advance this community project, to return with a proposal for a peasant community that defends its lands, opposes multinational companies and opposes monoculture. This means that, at this time, the community must continue to develop its internal organizing processes. The other major challenge is that there are [opposing] economic, political and military interests. I believe that in this first stage the community will face new attempts to evict them. This means that there is a state of uncertainty, but at the same time a desire to maintain the community united within an area established as a human settlement. This is another way, another protection mechanism that hence should continue to be strengthened. PBI: What are the economic interests that exist in the region? LJM: We have been able to corroborate through reports from Ingeominas [Colombian mining agency] that the Pitalito region is rich in mineral deposits. Specifically, stones containing ferrous substances or iron have been discovered, which means that what is really happening here, what is being sought behind the scenes, is the displacement of peasants to then grant those lands in [mining] concessions. PBI: What legal steps do you foresee are needed to legalize the land? LJM: The community has sufficient legal arguments to support any review of their case from a legal standpoint. The community is part of a number of families who had possession of this land for years. This gives them a right that is protected under the Colombian Civil Code and Colombian law. Also, the way in which they were dispossessed of their lands—being the victims of forced displacement through a forced sale, made to sell some upgrades at bargain prices—means that the Land Restitution and Victims Law (Ley de Víctimas y Restitución de Tierras) applies in this situation, and considers them victims of dispossession and therefore protected in this way. Legally there are sufficient arguments, but we must also take into consideration that the political will of political and administrative authorities—and the judicial authorities that must make the decisions—will play an important role. These laws must always be at the service of those who have the weakest role in these relationships, which are usually the peasant victims of dispossession. PBI: How significant is the return within the framework of the Land Restitution and Victims Law? LJM: I think it’s one of the most interesting projects taking place in Colombia at this time. It is an experience that should be monitored, which should be accompanied by peasant organisations, social organisations and, generally, by organisations that support land rights. I think it is an example of what the current government—the national government or the current president—wants to show to an international audience as a breakthrough in the development of regulatory law for the defence of the victims. I believe that here is where it will be shown how effective it really is. 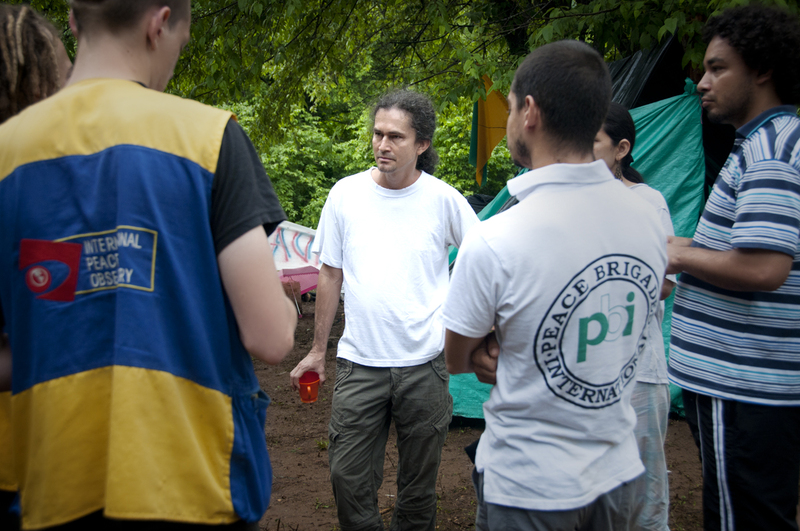 PBI: Why is international accompaniment necessary for these returnees? LJM: Pitalito is a special case because the conditions that led to the community’s forced displacement have not changed. The perpetrators have not been prosecuted. In other words, a fact as serious as forced displacement is being carried out with complete impunity. Since these conditions have not changed, there is still a very high risk for those who accompany these processes, for us as the Committee for Solidarity with Political Prisoners and also, of course, for the community itself. Just to move into a territory like the centre of Cesar—where threatening flyers are constantly being distributed by paramilitary groups who have remained in the region during recent years—requires accompaniment and visibility to enable us to perform our work.